Several years ago, I visited the original Bachi Burger location in Las Vegas. The burgers, on that visit, were disappointing in the face of the hyped up praise the location had garnered from the local audience and press. In spite of this negative experience, Happy Meal and I decided to give Bachi Burger a second chance and sample the cheeseburger fare at the recently opened Little Osaka (West Los Angeles) outpost. There was a bounty of metered street parking available. We arrived at about 5 PM on a weekday, and we discovered that the service was slow and disorganized. A staff of 7 struggled to serve about the same number of patrons, and after an unduly long wait to order, our burgers took an additional 20 minutes to arrive. While we were waiting, we sampled the Boba Tea. We tried this, so you will never have to. The boba was clumpy and soggy. This beverage should be avoided at Bachi Burger...Boba Time on National Blvd is the current champ. The Beef: Yawn. The Angus beef was sourced from Sysco Foods. It was comprised of Brisket, Short Rib, and Chuck. The fat content was about 20%. This blend is generally a winning burger combination, but in the case of Bachi Burger it came up in the range of Average. 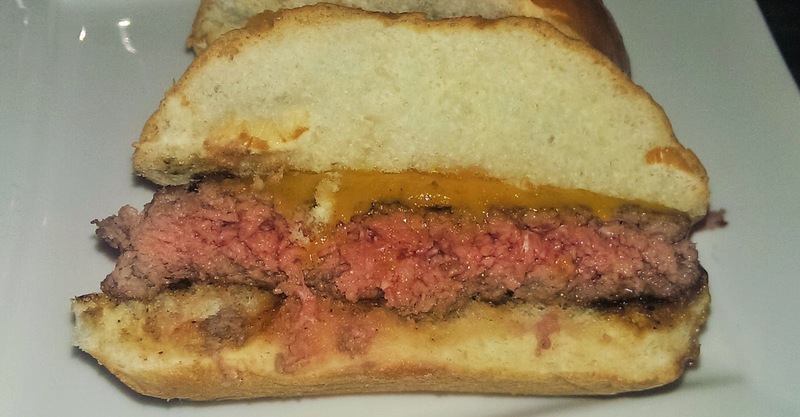 The 7-ounce burger patty was meek in terms of beefy and satisfying steak flavors. The burger had only the faintest hint of complexity from the Short Rib. The flat patty was moderately juicy. The texture of the ground beef was firm yet yielding. The Seasoning: The mild burgers were lacking in the seasoning department. The only spice that I could discern was something mildly sweet on the exterior of the burger patty. There was no trace of salt or pepper. Salt and pepper were very much needed to butch up this tame and passive burger patty. The Sear: What sear? After waiting 20 minutes for a burger, I had hoped to see a sear proportional to the buildup. Nope. 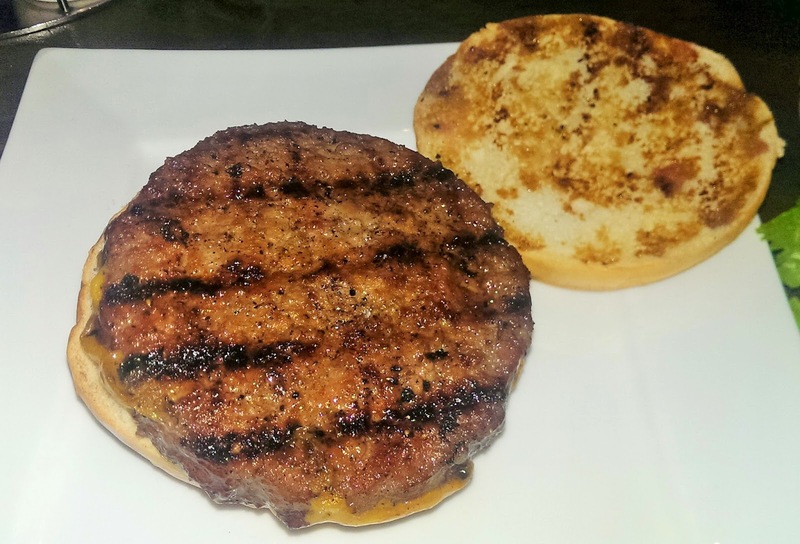 The sear on the Custom Made BBQ Burger at Bachi Burger was nothing more than thin grill marks. This, coupled with the mild flavor of the beef and the lack of seasoning, left us with a perfectly average burger patty. For $9, we had hoped for something better than average. The Preparation: The uniformity of the burger patties suggested that Bachi Burger took delivery of preformed burgers from their supplier, Sysco Foods. The burgers were cooked to a competent Med Rare, and the patties were only turned once during the cooking process. Once is enough, and it tends to produce a better sear by allowing the surface of the beef to reach a higher temperature. The Bun: The bun at Bachi Burger was a bespoke bun delivered by a local Taiwanese bakery. The faintly toasted bun was sweet and spongy. The sweetness of the bun paired with the lack of beefy and savory notes led to a cheeseburger, which was overly mild in flavor. The bun would have worked with a well-seasoned and high-quality burger patty. In this case, it served to send the bland burger even farther into the shadows. The Cheese: The cheese was available at an upcharge. $1.50 for Cheddar or Swiss, and $2.50 for Gruyere or Bleu. We opted for the Cheddar. The Cheddar did contribute a bit of savory flavor to the burger but not enough to save the dish. The Fries: Yuck! The $4.00 fries were nicely presented and properly seasoned. However, the skinny, peel-off fries had a watery and slightly bitter flavor reminiscent of Ore-Ida frozen Tater Tots. 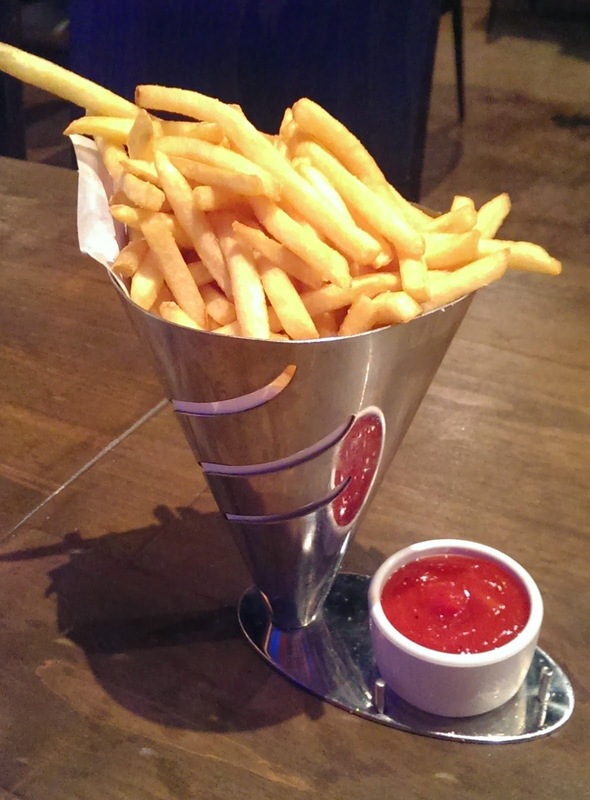 The fries also had a lank texture, which suggested that they had been sitting out for longer than was appropriate. The Toppings: The Romaine lettuce was fresh and crisp. The tomato slice was juicy, ripe, and flavorful. The Value: $10.50 for a 7-ounce cheeseburger would have been a fine value had the burger been flavorful, properly seasoned, and properly seared. $4.00 for plain fries was not OK, and it was even less acceptable considering the low quality of the fries. The value at Bachi Burger was weak. 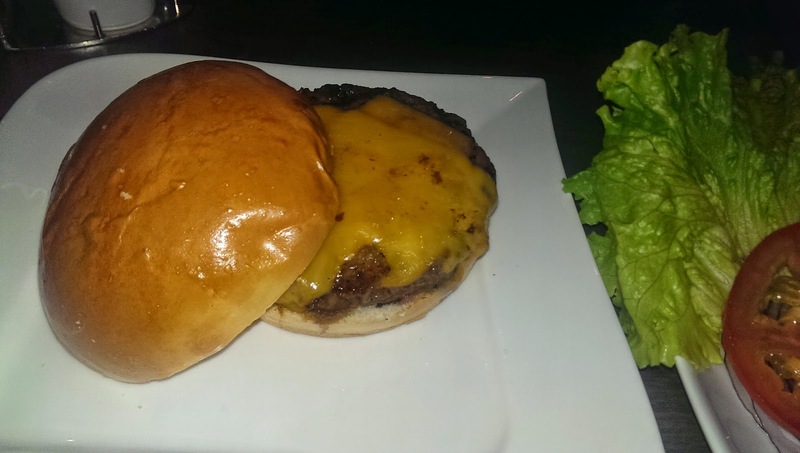 The West Los Angeles Bachi Burger location delivered the same lackluster burger as the Las Vegas, NV location. Ironically, we had to walk past Plan Check to get to Bachi Burger. Plan Check has consistently served up one of the best cheeseburgers in Los Angeles. Burger Review : Don't believe the hype. The cheeseburgers were under-whelming and over-priced.